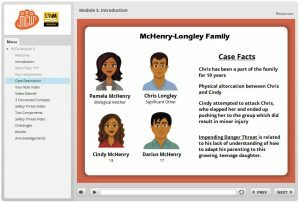 The MCWP produces high-quality online learning modules and videos the meet the needs of our programs. Topics include people-centered screening tools, developmental monitoring, sentinel injuries, and first-person stories from birth parents whose children have been placed in out-of-home care. These two videos detail the experiences of birth parents who have had their child/ren placed in out-of-home care. Both videos were created by MCWP, in conjunction with the Bureau of Milwaukee Child Welfare, Children’s Hospital of Wisconsin Community Services, and Integrated Family Services. This module will teach you about developmental monitoring including what it is, the benefits, and strategies for implementing it into your work. It also includes a wealth of free resources that you can use with families. 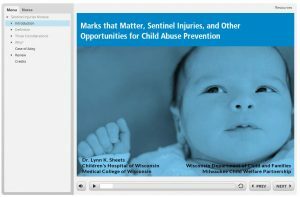 This module gives you an introduction to recognizing sentinel injuries in infants and guidance on what to do if you suspect abuse. This brief video introduces the viewer to the Vel R. Phillips Children’s Court Center in Milwaukee County. These learning modules about People-Centered Screening and Assessment are designed to help strengthen the personal and organizational screening and assessment practices of home visitors, parent educators, family advocates, and supervisors. Each module includes resources and information about the screen or assessment, information about the issue that is the focus of the screen or assessment, suggestions for using the tools reflectively, and a quiz and quiz key that will allow users of the modules to measure progress with understanding the tools. Modules may also include tip sheets about the screening and assessment tool which can be used as a desk reference, videos, and additional resources/readings. The PCFA Modules project was designed to provide an overview of the Protective Capacity Family Assessment model. When completed it will feature 6 modules: Module 1 – Why PCFA?, Module 2 – Preparation, Module 3 – Introduction, Module 4 – Discovery, and Module 5 – Change Strategy and Case Planning Stage. Strengths-based feedback is a well-regarded method for delivering feedback that leaves employees feeling confident and competent. This page contains the presentation and worksheet from our half-day training that helps supervisors become more effective at giving quality feedback to employees. The MCWP has several apps that work with both Apple and Android phones and tablets. These allow participants to access necessary information on-demand. Links to apps made in-house (Danger Threats and Protective Capacities, Developmental Milestones and Assessment, and Foster Parent Training) as well as a curated list of apps from other organizations and agencies. Danger Threats and Protective Capacities app contents come from the Safety Reference Guide and the Ongoing Services Standards which were developed by the Wisconsin Child Welfare Professional Development System. The information is from the April and January 2013 editions. The Developmental Milestones and Assessment app contains information from two documents. The milestones are from the book Helping in Child Protective Services. Thank you Charmaine R. Brittain and Deborah Esquibel Hunt for allowing us to use your “Developmental Stages of Infants and Children” chart. The assessment section is from the Effects of Maltreatment on Child Development curriculum from the Wisconsin Child Welfare Training System. A note about use: This app is intended to be a guide, not an exhaustive list used for treatment. If you notice a pattern and have questions or concerns please contact your case manager or supervisor. The Foster Parent Training app contains information related to training requirements and includes the most current training schedule. The training requirements come from the legal statues, WI DCF 56 and 51. The app also has information about the Quality Parenting Initiative (QPI), child care during trainings, and registration. To access one of our apps, click on its blue title. Apple devices will need to click on the View HTML 5 App button, tap the icon that looks like a box with an arrow coming out of it, and choose Add to Home Screen. If you would like to view the app from your computer, click on the View HTML 5 App button. The Child Welfare Academy app by the Child Welfare Academy, University of Alaska Anchorage features tools help child protective services workers make important decisions while out ion the field. They include a safety assessment flowchart, interview guides and checklists. We have several handbooks, guides, and workbooks that have been written by MCWP staff. These include materials for participants and also for trainers and training supervisors and managers. 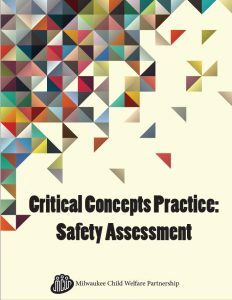 Use critical thinking and WI State Standards to guide and justify safety intervention decisions at a basic level of proficiency. Assess the sufficiency of the safety plan to control identified safety threats. Handbook For Foster Parent Trainers: The resource provides information about our programs and how they function as well as practical information about our business procedures. You will also find our expectations for trainers as well as training tips and resources. 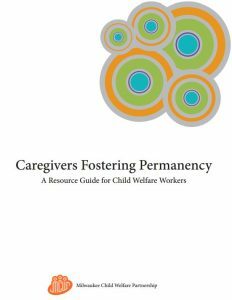 Caregivers Fostering Permanency: This resource tool is meant to be a guide for child welfare workers as they work with, and empower, foster parents to better promote and support child permanency. Supervisor Guidebook: Reference for new supervisors on adjusting to the new role and preparing yourself and your team for supervision. Developed by the DMCPS and MCWP. 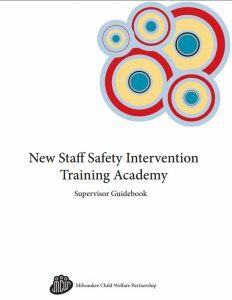 New Staff Safety Intervention Guidebook: Outlines transfer of learning activities and goals for supervisors to work on with their staff as they progress through foundation trainings. We also have a curated collection of resources for specific programs. Click below to view topical information related to your program of interest. Links on this page include State & Bureau resources, administrative codes, child welfare related organizations, professional development resources, and information for supervisors and families. Websites with information that is useful to foster and adoptive parents and relatives. Links to the trainer materials and curriculum that are located on tablets including those for Foster Parent Foundation. These materials will are located on our website so that users can easily refer back to them, print them, or save them on their work computers. Articles, webinars, websites, books and face-to-face training opportunities on a variety of topics including adult mental health, collaboration, child development, data, domestic violence, ethics, pregnancy, community resources, program administration, substance abuse and trauma. Articles, videos, and websites on child development, health, home visiting, parenting, postpartum, pregnancy, safe sleep guidelines, social/emotional development, teens, and addiction.